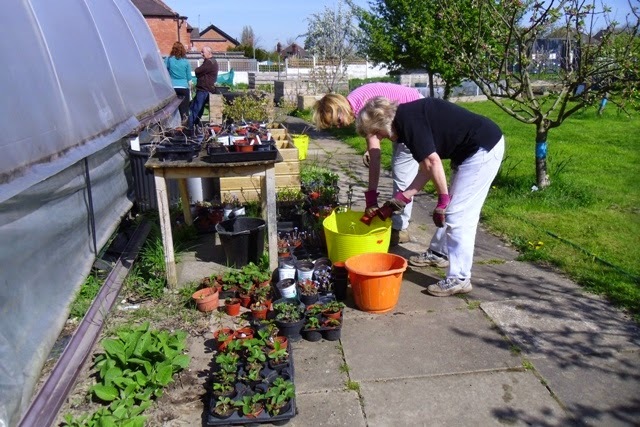 Lots of volunteers making best use of the lovely weather on Wednesday! 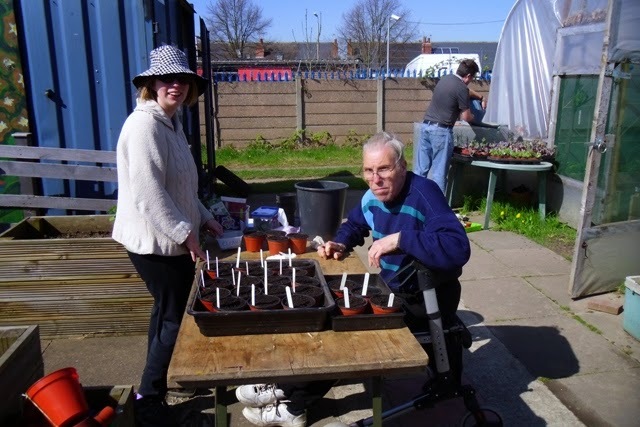 We watered, weeded, sowed, planted, dug, tidied - and had a cuppa and some lovely banana cake - thanks Gill! 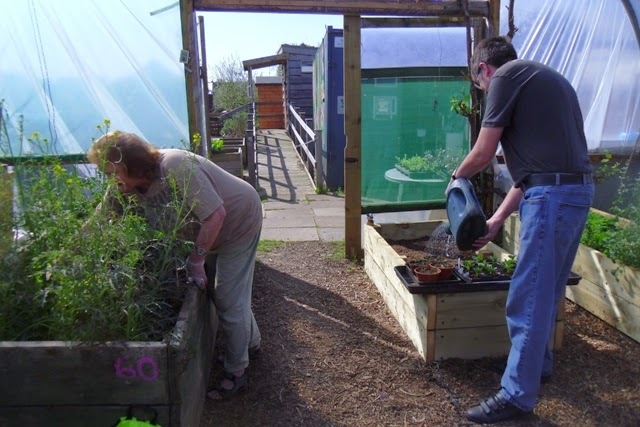 Come and make your own bee box to put up in your garden to help our precious bees! Come and visit our Dig In stall! Cream teas, craft activities, smoothie bikes with Pulp Friction, refreshments, fruit kebabs, jams and preserves, tombola etc. Sunday 6th September 10.00am – Sponsored Walk for Dig In, Wollaton Park at the Shoe Aid charity walk. Walkers follow a 3km or 5km route barefoot to highlight the plight of people around the world who have no choice but to walk barefoot. There will be a music festival, live entertainment, craft stalls, food stalls and real ale! It's an all-day family event and great fun! Bring ANY old shoes to donate as these will be sent to third-world countries. There is a £10 registration for Shoe Aid for walkers only and this can be paid when you pick your sponsor forms up from Dig In. Please help us raise funds for Dig In! Apple pancakes, apple pressing, smoothie bikes with Pulp Friction, pumpkin carving, chutneys and preserves, activities, seasonal produce grown on the allotment will be available for a small donation, tombola etc. Events marked * are free entry but there may be donation requests for certain activities. All donations welcome to help us with running costs! Dig In is run for the benefit of the community by volunteers. 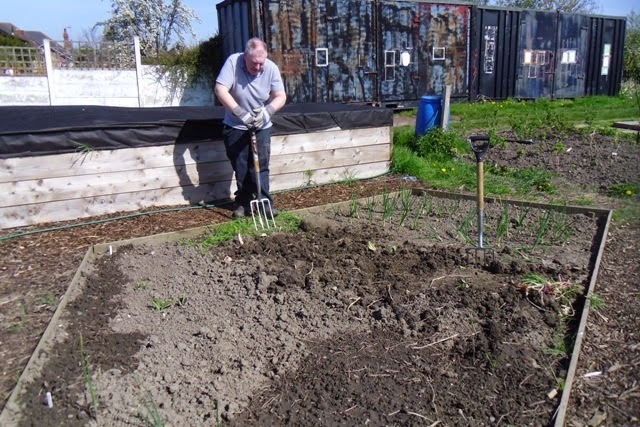 All dates are subject to change, plus there could be additional events, including Pond Dips from time to time so please check on the Facebook page, the Dig In Blog or ring the doorbell on the allotment gate any Wednesday or Saturday 10am – 12 midday.